Antonio Ristorante is more than just Italian food. Everything we do is with authentic Italian passion, and we share that passion with you. The winning combination of new owners and the return of Executive Chef Antonio Avona has transformed Antonio Ristorante into the new hot spot for Italian Cuisine. 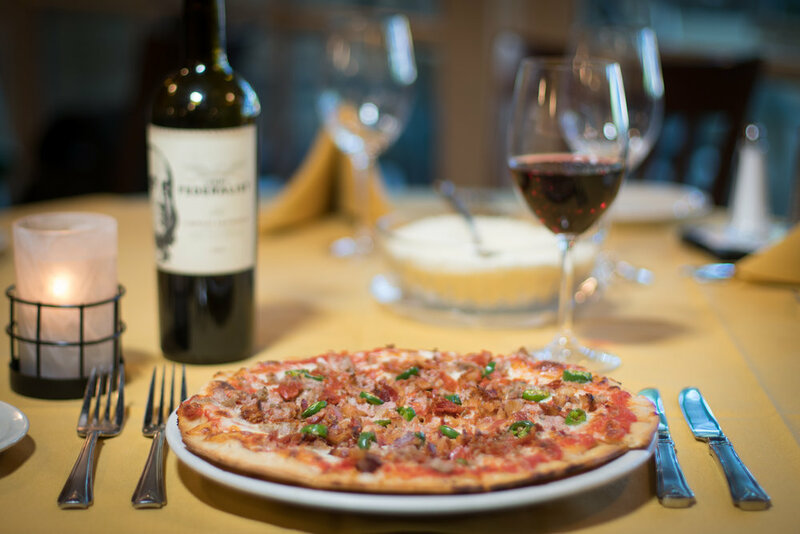 We specialize in fine Italian wines, daily chef-inspired specials, and traditional Italian staples in a convenient, authentic atmosphere. 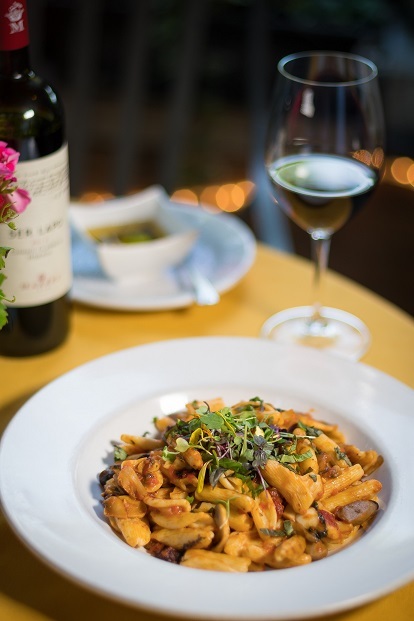 Award winning Chef Antonio sets the bar high with his creative takes with daily fish specials, and a fusion of his mother's old Italian recipes mixed with his French culinary training - yielding an experience that can't be matched by any other Italian restaurant in Texas. Elevate your dining experience. Whether it's a light lunch with co-workers or a cozy dinner with family, don't settle for anything less than the best. 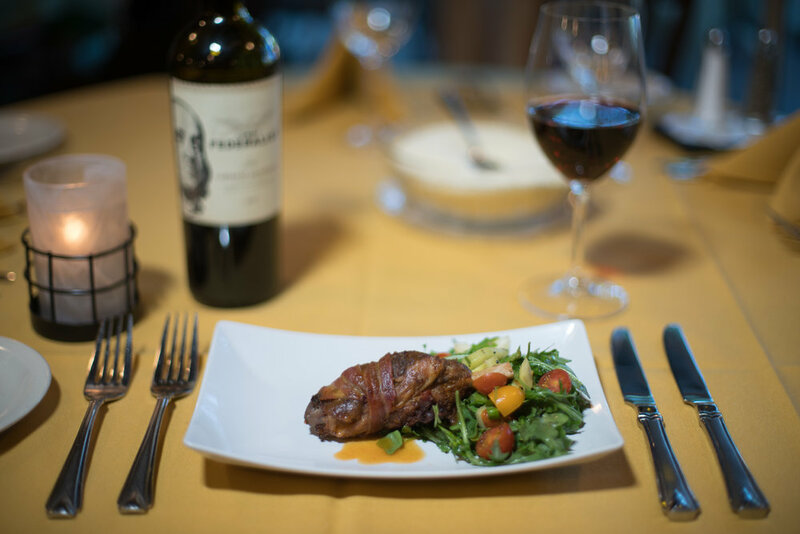 We strive to keep our menus full of fresh flavor by featuring seasonal items, farm fresh ingredients, and savory meats that highlight the unique tastes from all of Italy. Antonio's is very proud to announce that we are a winner of the Wine Spectator Award of Excellence for our extensive wine selection. We pride ourselves on always providing a wide variety of fine wine selections at a price that you'll love and our competitors hate. All of our servers are well versed in our wine list, so don't hesitate to ask us for a recommendation! Fettuccine pasta tossed in freshly made cream sauce with black pepper, onions, white wine, and topped with a perfectly poached egg and pancetta. Fresh cavatelli pasta with olive oil, garlic, wild mushrooms and sun-dried tomatoes. Fresh, 8oz. Alaskan Salmon filet, grilled to perfection and drizzled with fresh dill vinaigrette. 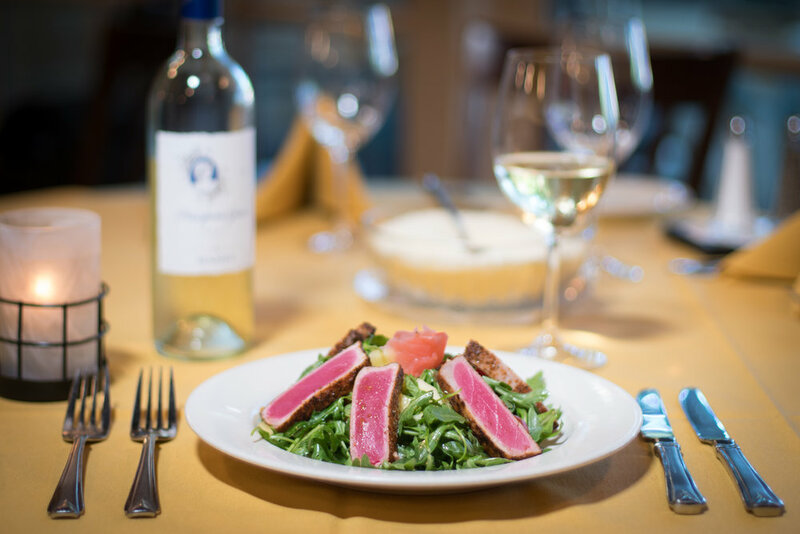 Seared Ahi tuna on our house salad, with fresh iceberg and romaine lettuce, baby tomatoes, carrots, cucumber and green onions with a lemon Italian Dressing. Side of spicy soy sauce available upon request. Lady finger cookies dipped in coffee, layered with mascarpone cheese, zabaglione cream, and cocoa powder. Minced pepperoni, Italian sausage, bacon, mozzarella, and Serrano peppers on a fresh, handmade crust.